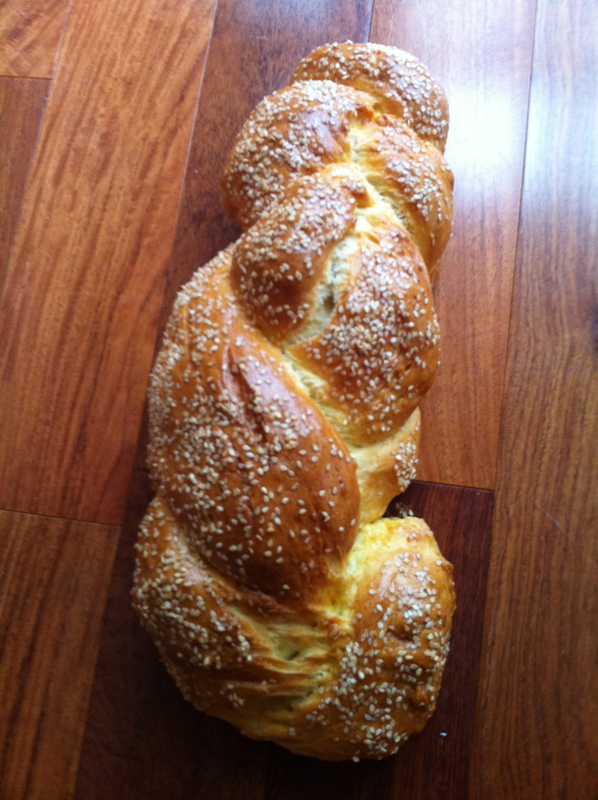 This month’s Fresh From The Oven challenge was traditional Jewish Challah Bread! It was hosted by Dom from Belleau Kitchen. Below is the recipe, copied straight from Dom’s post. Knead till smooth and elastic (a good 15 mins) then transfer to a clean bowl, cover and leave to prove for 1 1/2 hours. Grease a baking sheet. 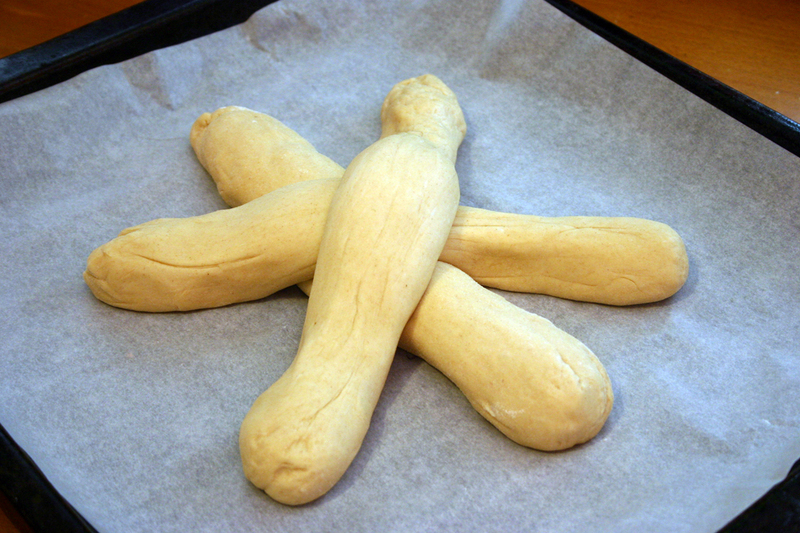 Knock back the dough and divide into 3 equal pieces. 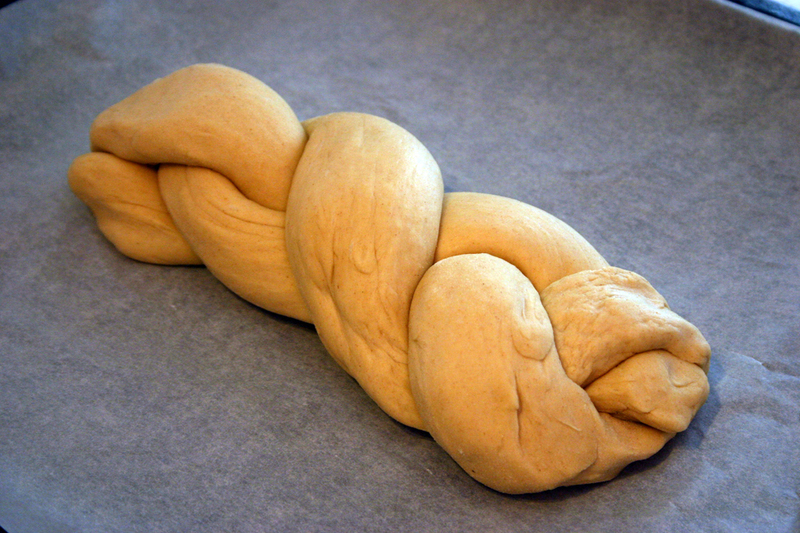 Roll to shape each piece into a long strip for plaiting. Lay 2 of the strips over the third to make a star shape and plait from the centre, tucking the ends under. Do this on the baking sheet, then cover with a tea towel and leave to rise for 30 mins. Brush with egg and bake in a hot oven at 190 for 35 – 40 mins or until golden and sounds hollow if you tap it. I’ve never had Challah Bread before and was pleasantly surprised by how easy it was to make! The kids came home from school and wanted to know what the great smell was? And then happily loaded the slices of hot fresh bread with butter and jam! I glowed with satisfaction the entire weekend! 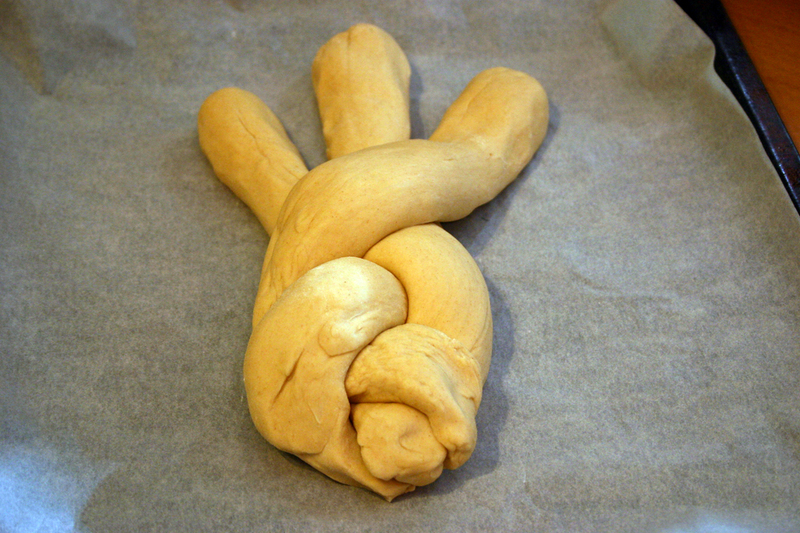 Plaited challah bread! Thanks Dom! Tags: baking, bread, cooking, food, fresh from the oven, recipes | Permalink. There is just nothing like the smell of dough rising and then baking in the oven. Not to mention the taste! Your bread looks fantastic. 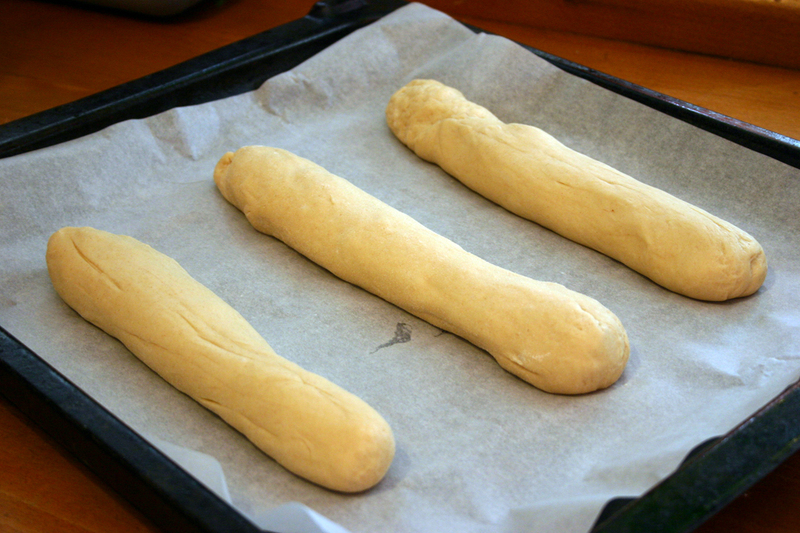 I haven’t made bread in the longest time, but this post just makes me want to make some soon! The only problem is you keep eating and eating! Great braided bread! Thanks for sharing the recipe! It was so easy to make and the results were incredibly satisfying! Dom’s instructions were perfect. Looks yummy! I bet your house smelt great! I love the smell of homemade bread!! Thanks! It really did smell amazing! Yum! that looks great. I think I’ll have to give it a try. It was so easy and so worth it! All thanks to you Dom! This looks so good…I can almost smell it! 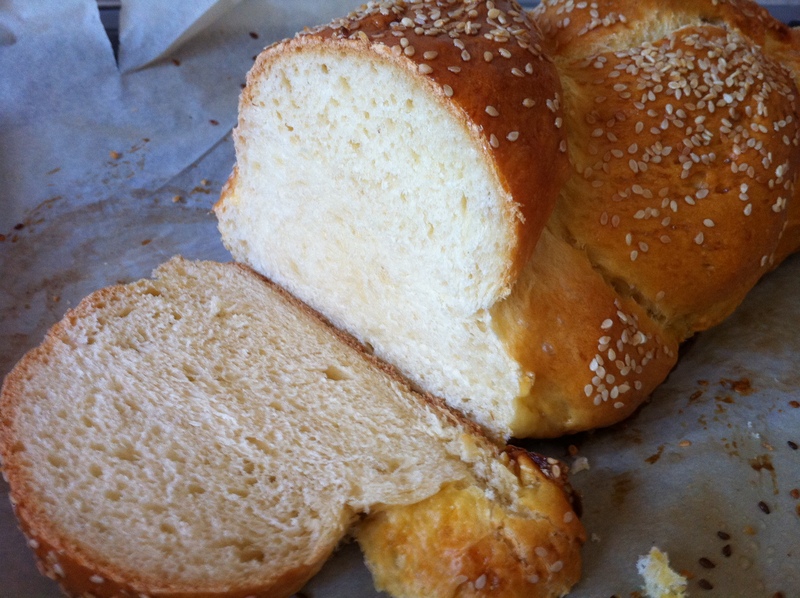 I love homemade bread…Thanks for sharing! Terrific blaiding. Thanks for taking part this month. Feeding children with warm bread that you have baked yourself when they come home from school has got to be one of the most satisfying things imaginable. Looks a lovely texture.